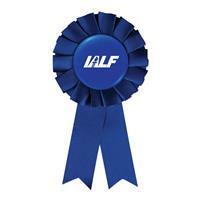 Show good sportsmanship with this award ribbon. 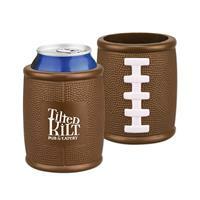 A perfect item for sports groups, academic awards, or for office competitions. One color/location imprint only. Our best selling 2" vinyl kickbags are great for any promotional event. Toss em', kick em', whatever you do, you'll have fun! One color imprint only. Available in blue/white (JL2369X), green/white (S2396X), orange/white (JL2372X), purple/white (S2395X), red/white (JL2373X), solid red (S9028X), black/white (S2394X), and yellow/white (S2397X). Table any doubts for another day, because with these pocket-sized sports items, your marketing campaign can be a big hit. 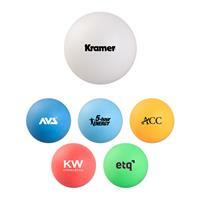 Our colored plastic balls are great for ping pong! (*non regulation size). A great giveaway idea for tradeshows, conferences and fundraisers. Ideal for colleges, offices and athletic leagues. One color imprint only. Available in blue (S57001X), green (S57020X), orange (S57003X), red (S57019X), and white (WL103X). 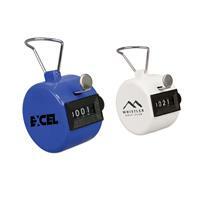 Our new tally counters are the perfect idea for schools, gyms, coaches, camps and fitness related promotions! Available in blue (S50108X) and white (S50109X). One color/location imprint only. 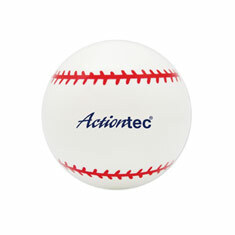 Get your next marketing campaign off and running with our kid-friendly plush sports balls! 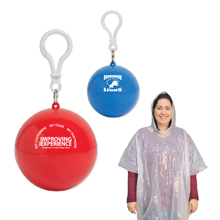 Great for any promotional event, these inventive sport toys bring a smile to people of all ages. A great giveaway idea for tradeshows, conferences and fundraisers. Ideal for colleges and athletic leagues. Toss them into the stands during a game. Keep on your desk as a stress reliever. One color imprint only. Our rubber baseball bouncer is great for your next baseball themed or little league event. 3" dia. Touchdown! 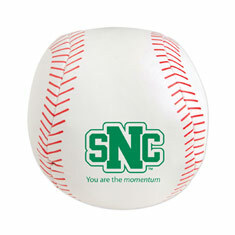 Get your next marketing campaign off and running with our kid-friendly plush sports balls! 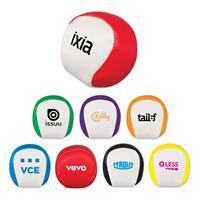 Great for any promotional event, these inventive sport toys bring a smile to people of all ages. A great giveaway idea for tradeshows, conferences and fundraisers. Ideal for colleges and athletic leagues. Take them to practice or play tag football in the backyard. One color / location imprint only. Has Made in China stamp on reverse side. Available in brown (S2204X) and white (S2213X). Get ready to cheer with our pom poms! 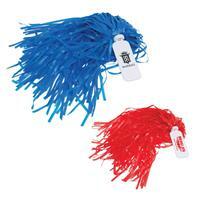 Available in red, white or blue, our pom poms are a fun way to get your logo noticed. Great for schools, sporting events and company celebrations. An ideal giveaway at tradeshows, this creative promotional product brings joy to people of all ages. 450 strands per pom pom. Available in blue (S70408X) and red (S70406X). Get ready for the big game with our fist-shaped foam seat cushion. It's a cushion that you can cheer with! 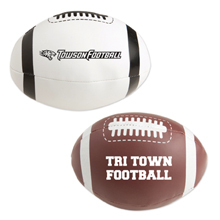 Customized with your organization's name and logo, it's the perfect way to promote team pride! Available in blue (S16267X) and red (S16268X).